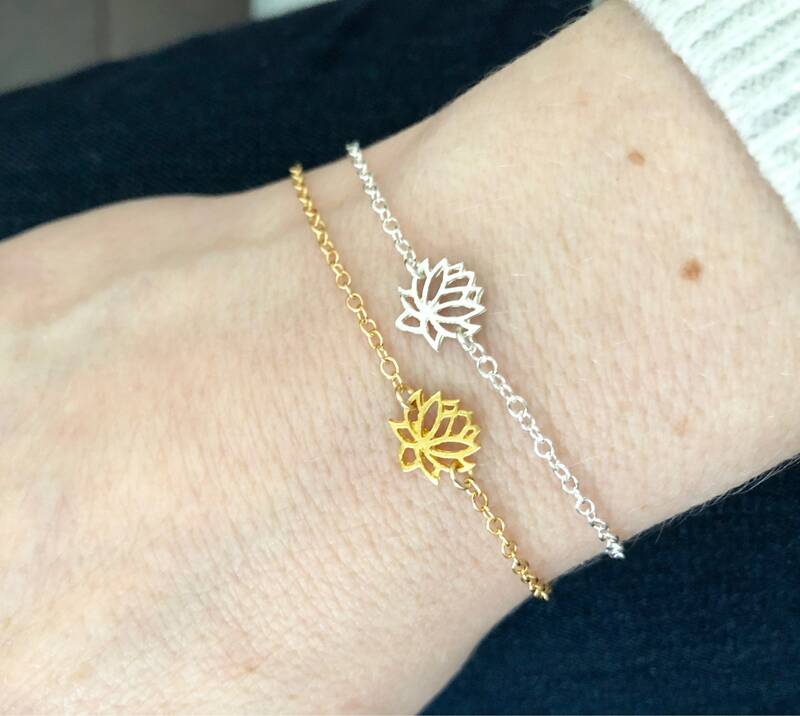 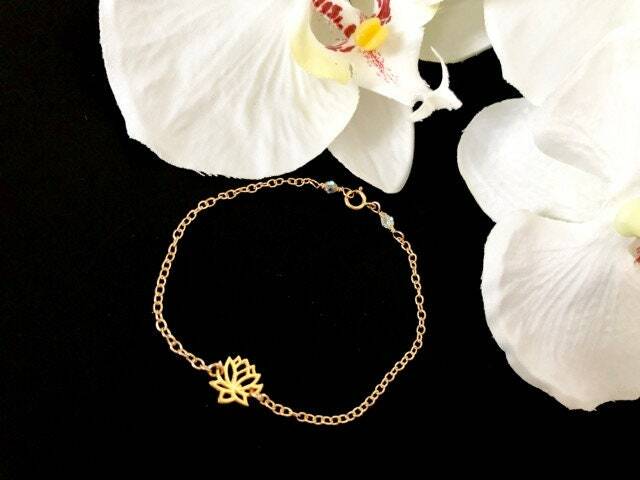 This fabulous gold lotus flower bracelet, featuring a dainty lotus charm dainty cable chain, looks sensational worn alone, or layer it with other chain bracelets for an on trend style. 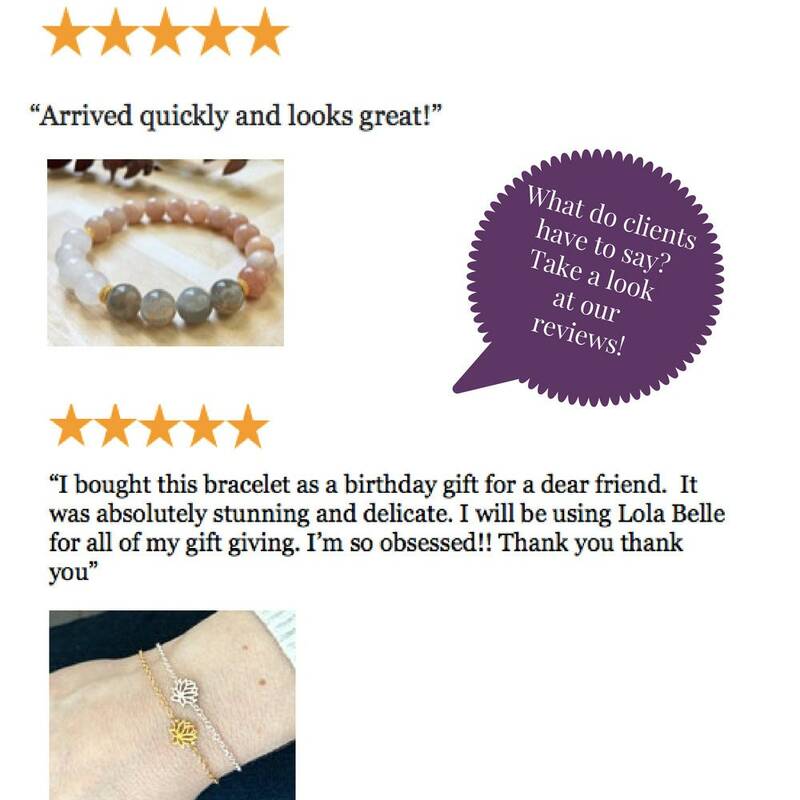 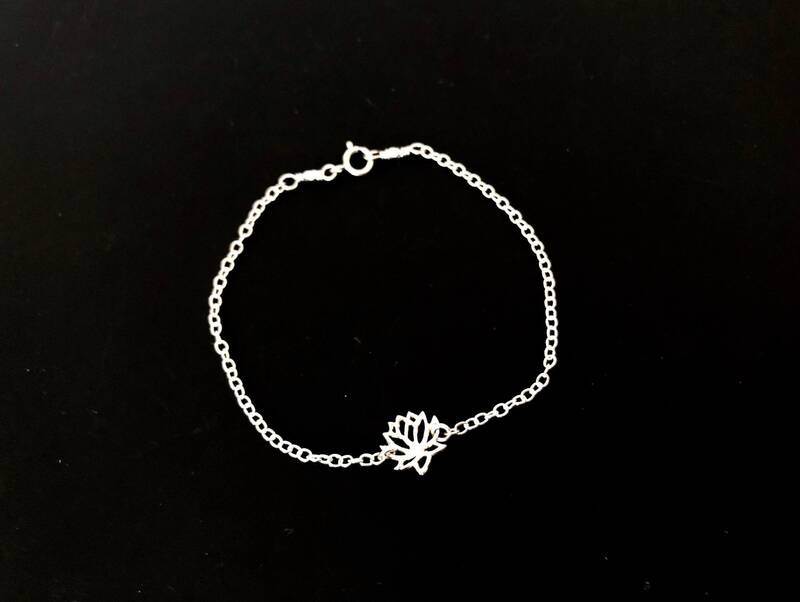 This yoga bracelet, is available in sterling silver or 14K gold fill, and would make a delightful gift for your wife, girlfriend, best friend, or sister. 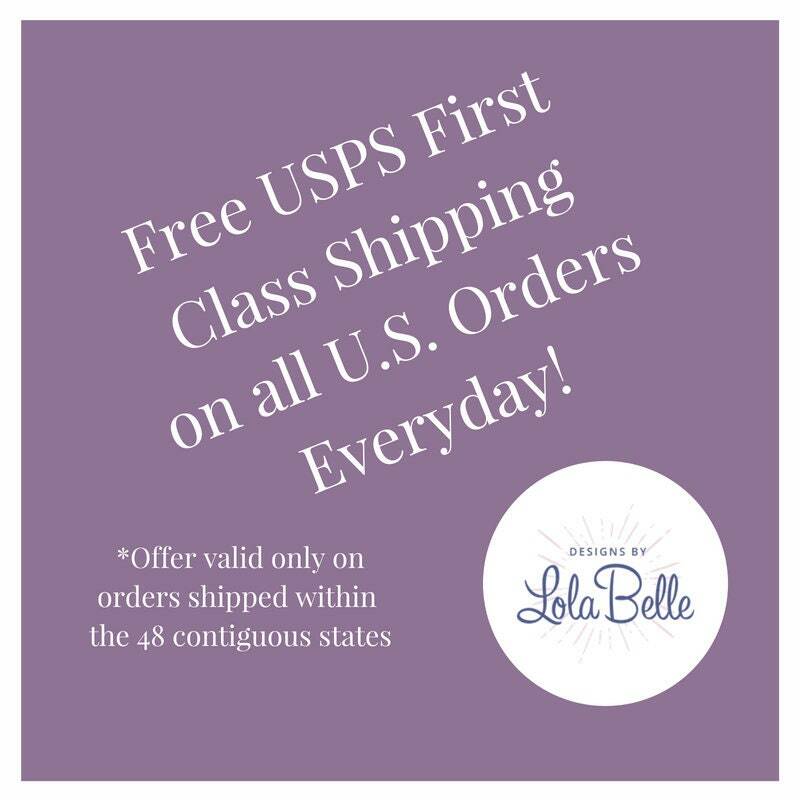 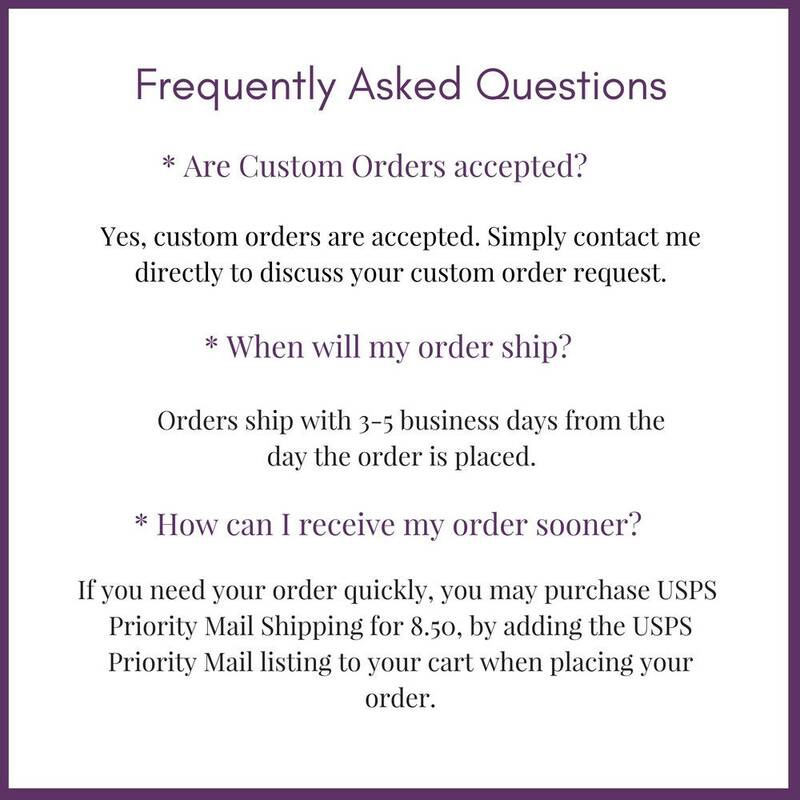 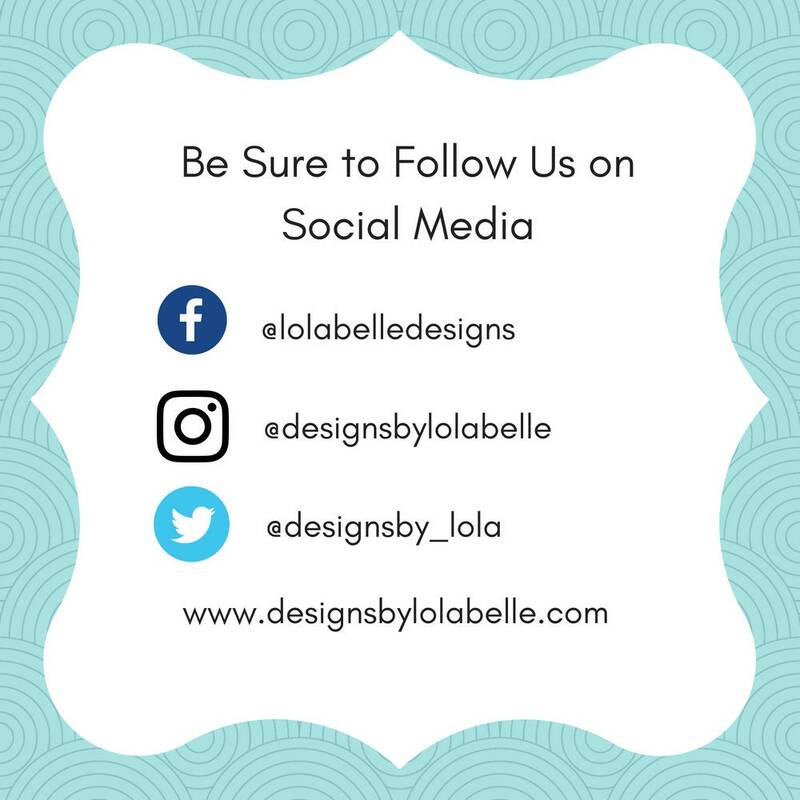 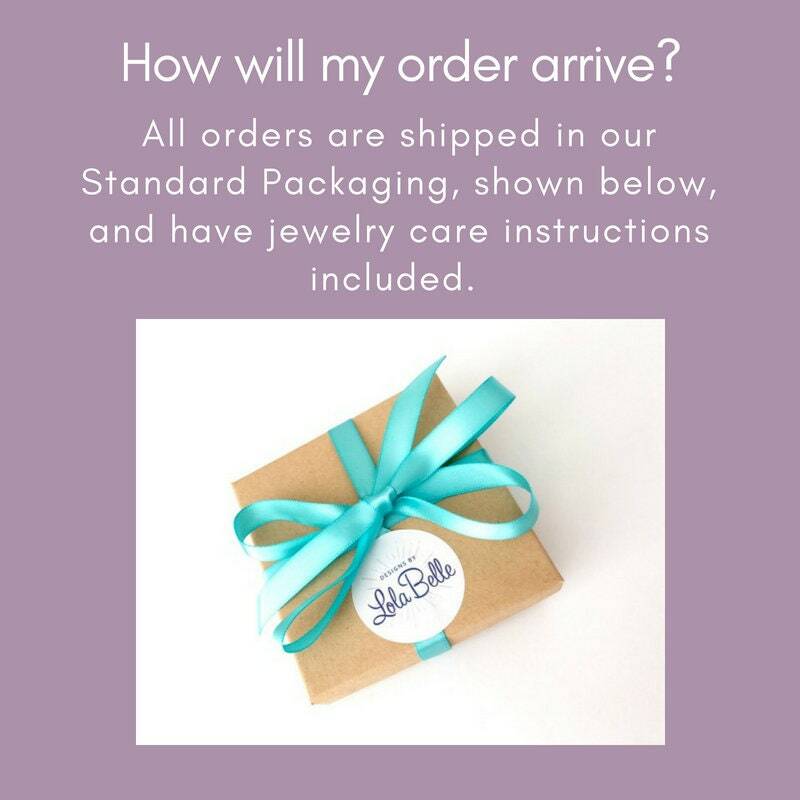 * All orders are shipped in our standard packaging, which includes a box and bow. 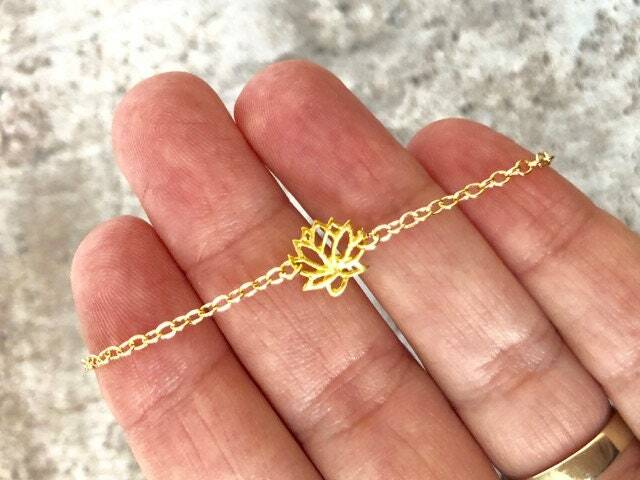 The lotus flower is sacred symbol of love, purity, and harmony, in multiple faiths around the world. 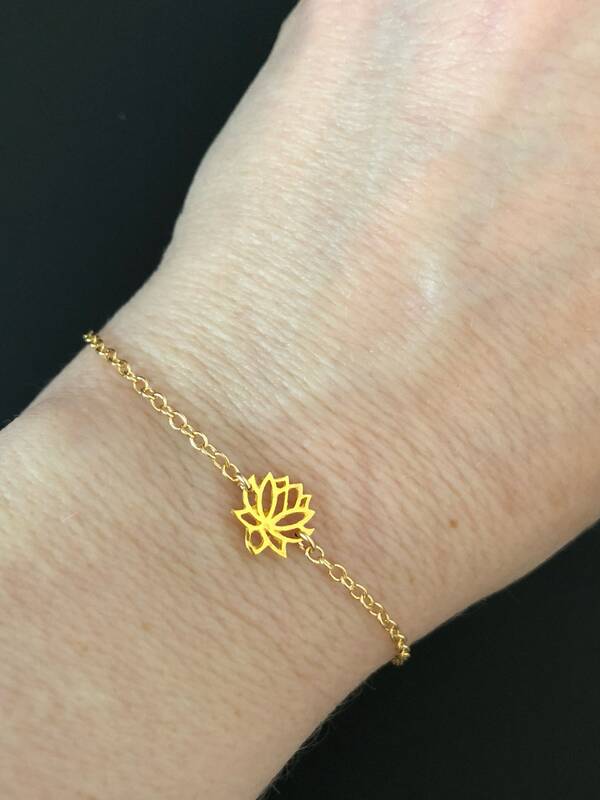 Growing out of dark muddy waters untainted, the lotus flower is symbolic of light's ultimate triumph over darkness.